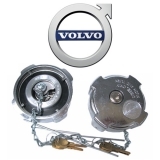 Protect your hard earned Money with Locking Fuel Caps and Anti Siphon devices! 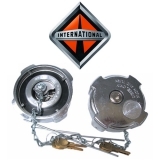 Our various fuel tank accessories can help keep you truck safe from theives and keep honest men honest. 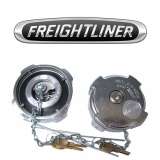 Every truck on the road, from large fleets to owner operators, should have some sort of diesel fuel protection device equipped on their big rig. 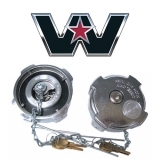 Our brands of locking fuel caps, diesel cap fuel covers and anti-siphon inserts make for the most secure and toughest locking caps on the market. 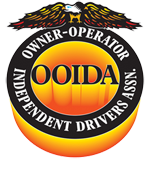 If your truck is a Peterbilt, Kenworth, Freightliner, International, Volvo, Mack, Sterling or even a Hino, then we have something for you. 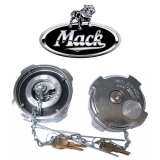 We even have custom locking fuel caps to match your style best. 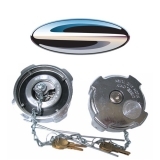 If you are tired of having your dieslel stolen then come to Raney's Truck Parts for a quick and easy solution!